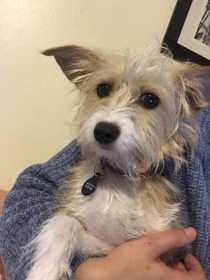 Small golden/tan terrier mix. Scared of people, so call if seen! She is chipped.